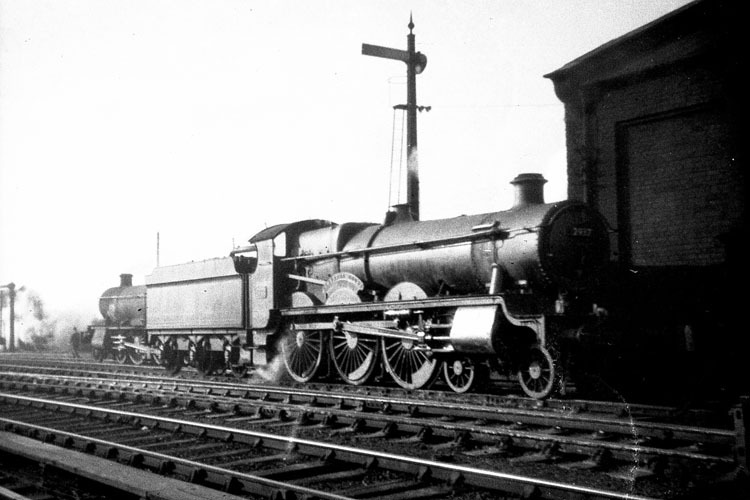 The 2900 'Saint' class of two -cylinder 4-6-0s was introduced by the Great Western Railway in 1902. 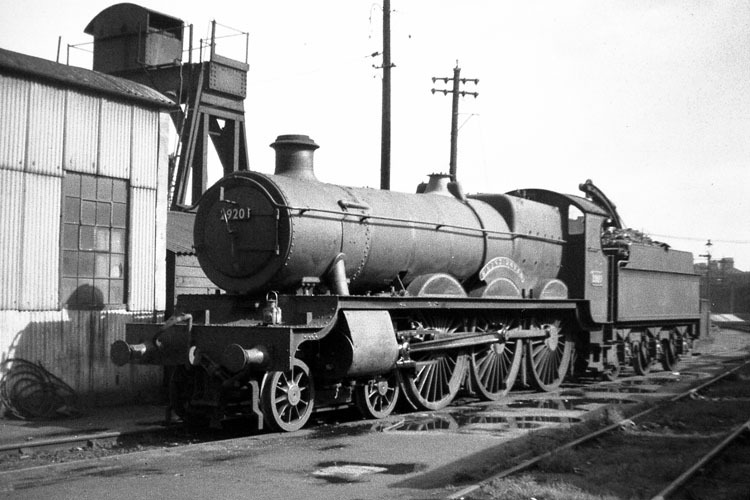 The first engine 'William Dean' was originally No.100 but later became No.2900 . Although given the tile of 'Saint' class only some of the locomotives numbered from 2900 to 2930 actually carried the names of Saints and even some of these early examples were actually 'Ladies'. From No.2931 onwards the majority were named after 'Court'" such as No.2947 'Madresfield Court'in Worcestershire and the last few carried an assortment of random names. There are five photographs on this page depicting four different locomotives that were all allocated to Hereford Shed. Their principal duties at this time were to work the Hereford to Worcester portions of express trains to or from London. 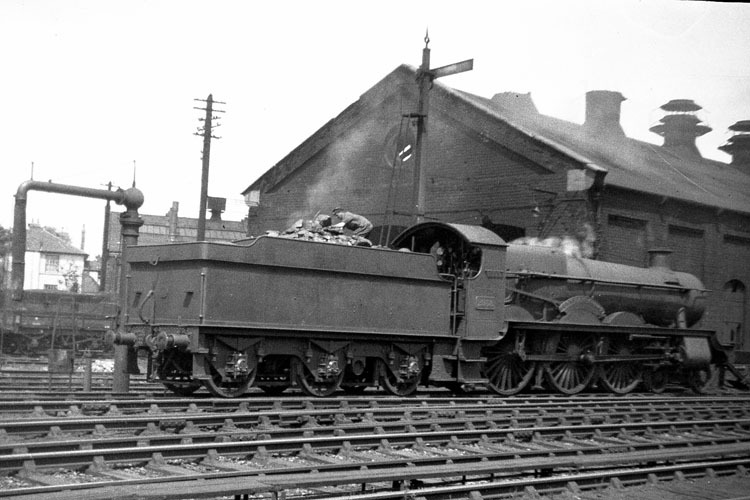 This is No.2920 'Saint David' of Hereford Shed on the traverser at Worcester Works on 28th May 1952. This is No.2920 'Saint David' again after arrival at Worcester for a mileage examination on 9th July 1953 just before withdrawal. Saint David was a sixth century Welsh monk. No.2932 'Ashton Court' is in front of the Goods shed on 18th May 1951. The locomotive was withdrawn in June 1951. The other Ashton court is owned by Bristol City Council. Waiting on Worcester Shed having worked in on the 08:55 from Hereford and waiting to work the Worcester to Hereford portion of the 09:45 ex Paddington is Hereford's No.2937 'Clevedon Court' on 2nd July 1952. 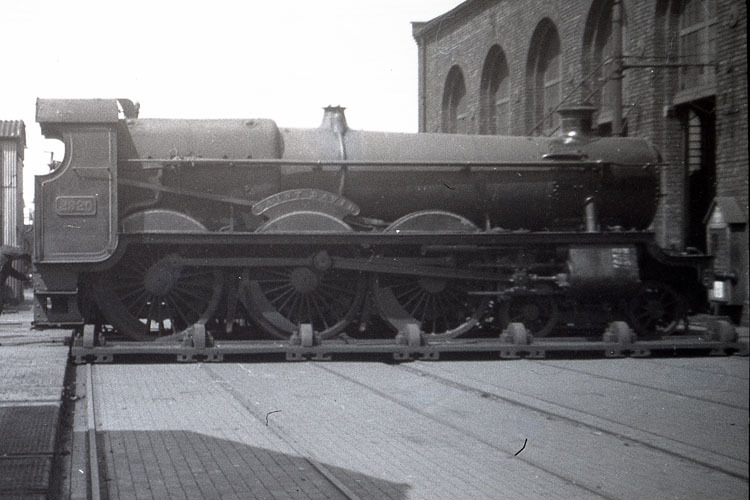 This locomotive survived in service until June 1953. The locomotive takes its name from a 14th century manor house in Somerset that is owned by the National Trust. Pictured in the same position and also waiting to work the 09:45 ex Paddington forward to Hereford is No.2938 'Corsham Court'. 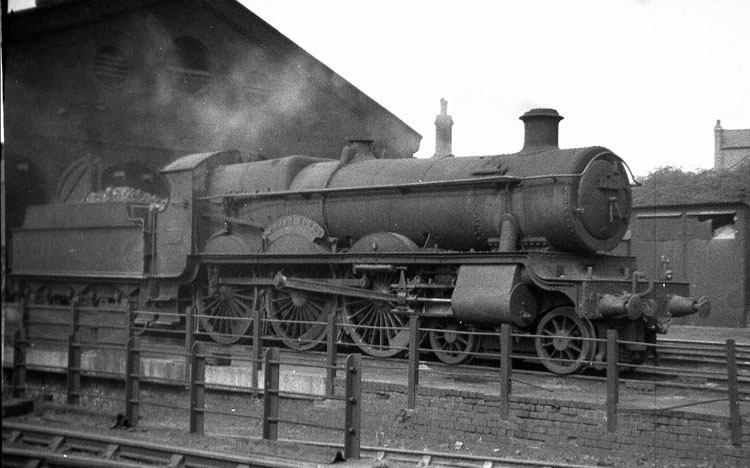 The locomotive was withdrawn in August 1952. The other Corsham Court is a private house (open to the public) near Chippenham, Wiltshire.